BREXTON Gate – No loose screws here! We are a gate services business based in San Diego that supplies the ornamental and wrought iron work. BREXTON Gate supports are willing to help by simply fill up form. Driveway gates serve several purposes. They act as the first line of protection to your property as well as the entryway to your house. Gates also help to establish the limitation of a territory. Besides their function, gates also have the ability to add an aesthetic touch to your property with their materials and designs. Depending on their sizes, gates are of three main types: double drive, sliding, and a single walk in. Single walk gates are designed for accommodating people and pets. To some extent, they can also fit small vehicles such as motorcycles, scooters, and bicycles. They are most common in country homes that have picket fences whereby the gate is hinged on one side with a latch on the other. In most cases, single walk gates are built as tall as the fences that surround them. 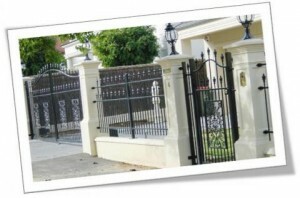 The double drive gates are usually found in large mansions or city houses. They are made of two panels that open up in the middle. Each panel is hinged on the outer sides. These gates are large enough to allow vehicles to pass through. The sliding gate is another type of driveway gate. Rather than being pushed forward or backward to open, this gate is slid sideward to create an entryway. They usually contain wheels underneath to allow for smooth movement of the panel from one side to the other. This type of gate is quite useful and effective for properties with limited space. The choice of the gate will depend on your property. In most instances, the swinging gate is the best. In case your driveway slopes a bit too steeply, it is advisable to have an entrance that swings away from your property. The nest thing you have to do is determine whether you want a manual or automatic gate. If you choose an automatic gate you have to decide whether it should be card-based or uses keypad entry. Antique wrought iron gates is a popular choice material for gates because of its anti-corrosive properties. Other good alternatives include aluminum and steel. You may also choose wood gates because of either aesthetics or cost. However, if you choose a timber gate it is good to always remember that it does require more maintenance than a metal gate. 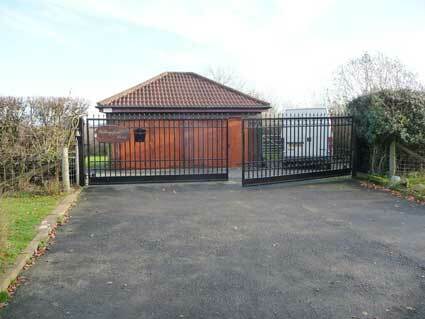 Property Location – As previously stated, some types of gates are better suited to particular types of properties. For instance, the double drive gates work well for city houses and large mansions while single walk gates work well for country homes with picket fences. Property Topography – Depending on how level or how much your property slopes, you may be compelled to choose a particular type of gate. For instance, if your driveway is steep, you should consider installing a swinging gate. The size of Property – Depending on the size of your property, you might be compelled to choose a gate of a particular type. For instance, sliding gates work well for those with limited space. Therefore, if you are limited regarding space then this type of gate may be ideal for you. Privacy Concerns – If you value your privacy you may choose a solid undecorated panel to block the view of any passerby. Such gates are usually made of aluminum since it is lightweight and durable. Automation – Some gates are better suited to automation such as the sliding gates. 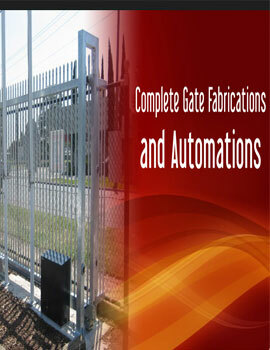 If you are into automation, then this type of gate might be what you need. The tips discussed above will help you get the type of gate that will suit your needs. Once you start to research the products as well as installation companies available in your area, you may find other questions arising that you may not have thought of before. 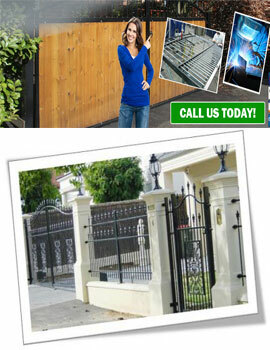 You will find that many companies are willing and ready to manufacture a custom gate for you. Before deciding on your purchase, ensure that you get at least 3 quotes. It is advisable not to make the cost of the gate as the primary consideration. Art and design should also be important considerations. 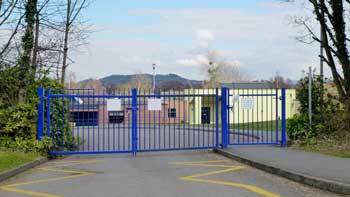 Another important consideration is that the gate should be manufactured promptly. Finally, give much thought and have fun with it before you decide on the material, size, and design of your gate. There are so many different types of fences out there. Not only do they vary in the type of materials used, but there are different finishes and styles as well. The result is that your fence can look very different from your neighbor’s fence.In general, however, many homeowners prefer using wood. This is because the price is more reasonable than some of the other materials. Besides, you can paint it or stain it, which makes it a fairly flexible choice. When you go to wood, you can match your fence’s appearance to the look and style of your own home. However, it is important to note that if you go with a wood fence, you must maintain it if you want it to continue to look good. That means that priming, sanding and scraping could all be involved. If you decide to keep the fence looking very natural, you will still need to perform some maintenance work if you want the fence to last for as long as possible. Because of the work involved, many people are turning to vinyl fencing. In the beginning, vinyl fencing really did not look exquisite. However, technology has advanced, and today’s vinyl fencing looks lots like wood fencing. If you walk up to it, you can normally tell a difference, but it ‘s hard. There are also iron fences as well. Regardless of what you ultimately go with, it is important to hire professionals to do the installation work. Many people believe that they can put in the fence themselves. While this might technically be true, the fence often does not last as long or look as good when a homeowner goes the DIY route. Also, while the process seems simple, it is actually much more complicated than just shoveling out a few holes, putting in the posts and adding each horizontal section. To do the installation job right, you have to anchor a number of supports and level the ground. A professional installer can do this without incident, but most homeowners simply do not have the experience necessary to ensure that the fence works right, looks good and lasts for many years to come. Security is an issue that is always at the forefront of a homeowner’s mind. In addition, many homeowners are also interested in increasing the value of their property, regardless of whether they intend to put their home on the market anytime soon. A fence with an automatic gate is a great option. This secures the property and allows the people living in the home to determine who has access to the building and yard. In addition, fences provide privacy, allowing for a more peaceful existence. Automatic gates are therefore beneficial in several ways; they give you peace of mind and they increase your property value. Have you decided to add an automated gate to your property? You have a number of options available to you. You can add an automatic gate on as part of a privacy gate. You can set the gate up so that it protects your entire property or so that it protects your living structure. Technology continues to evolve and many people are interested in turning their property into a “smart home.” This means that they can use their electronic devices, like their smartphone, to control different aspects of their home. They can do this even when they are not physically on the property. Both telephone systems and wireless keypads are an option for homeowners. When someone arrives at the property, they have to get in touch with the homeowner either through an intercom or a telephone system. The homeowner then has to give them the code to get in or open the gate for them to drive through. No matter what direction you decide to go in, an automatic gate helps you protect your property and ensure that only those individuals that you want in your home have access to it. Swimming pools are another desirable home feature. Many people decide to put up a fence around their pool to ensure that the area is secure. An automated gate is a great option for this type of fence as well. Both a keypad or a telephone system can be used, and the technology helps to ensure that children are not inadvertently allowed into the pool area without a supervising adult. Even if you do not have a family of your own, it is often a good idea to secure your pool in this way. Home security is an important issue. There are a lot of choices out there when it comes to how you protect your property. An automatic gate is a great way to give you the peace of mind that you need while still improving the aesthetic appearance of your home. Can Fencing Reduce Your Homeowners Insurance Cost?